On Thursday afternoon, I knew Daisy was going to have her baby that night or first thing the next morning. 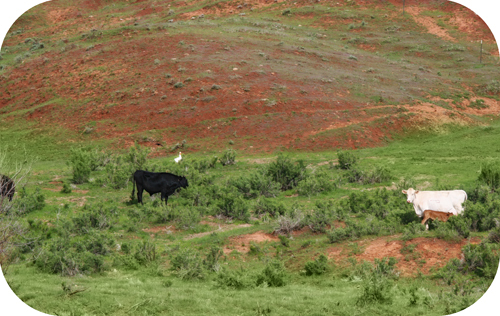 Delicious grass is growing all over the place and usually the cows wander the property, grazing all day long. But on Thursday afternoon, Daisy walked herself down to the corrals and I found her standing in the grassless sheltered section where she had birthed Frisco, looking into the middle distance, in a zone. Frisco and another heifer were down there, too – they follow Daisy wherever she goes – nosing around the empty hay bunk. They wanted to eat; Daisy was not interested in food. Frisco also obediently follows the red-handled horse brush – he loves to be brushed – and I used this to lure him and the heifer out of the corrals. I locked Daisy in, with a huge pile of hay to eat and straw to nest in, and Frisco, for the first time, had to navigate the wide world on his own (with his heifer friend). He’s been such a mama’s boy his entire life, I wasn’t sure how he would react to the separation, but he’s did a fine job. Became a man, even, as much as a steer can. He and Daisy spent three days apart and Frisco was patient and generous, not at all needy or lonely or whiny. And even now, he spends more time with the heifer and the goose instead of clinging to Daisy. He adores his little sis but seems to understand the current order of things. I left Daisy by herself, checked on her that evening, and at that point I really believed her baby would be born just after sunrise on Friday morning. When I woke at dawn, I had my usual morning rituals with Charlie and Chloe and the cats and coffee and did a bit of work. I was in no rush to get to the corrals, even though I knew Daisy was having her baby. Daisy prefers to do these things on her own – I could sense that last year, with Frisco’s birth, but bugged her anyway – and this year I decided to let her have the birth the way she wanted it, in peace, like a cow, without me. And then, one moment, everything shifted gears. I pulled on jeans and boots and was like, “It’s time to go down there!” Right now! And I kind of speed-walked down to the corrals, so curious about what I might find. From afar, I could see Daisy, standing, and then some movement around her legs. At first, I couldn’t tell if it was a barn cat, but with a few more strides down the trail I could see the staccato movements of gangly calf legs. Daisy’s calf was standing but still completely wet – Daisy hadn’t, at that point, cleaned off more than the calf’s face – which means the birth occurred literally less than five minutes before I got down there. Daisy was attentive to the calf and happy to see me, and soon Ricardo showed up, along with a barn cat. We all hung out for a timeless spell – an hour? two hours? 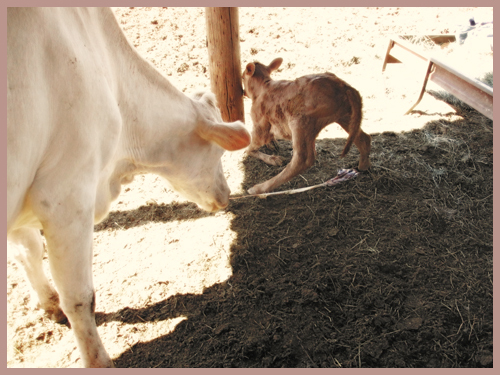 Daisy birthed her placenta and ate it up, and the curious calf discovered that those things are very slippery. Now, in regards to her name. 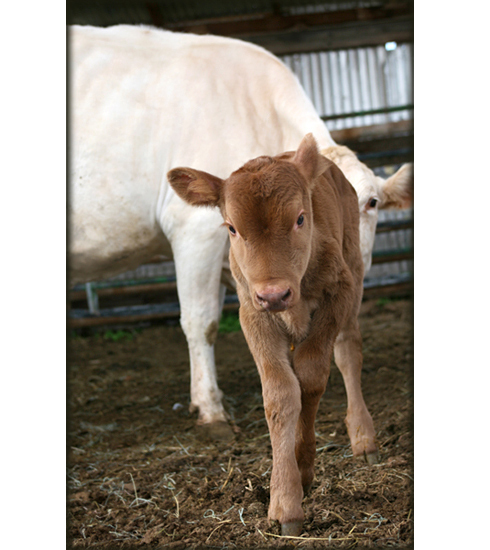 That first day, the day of the birth, I could feel the calf’s name in my mouth. I could feel it, but couldn’t figure out what it was. But MJ knew. So many great names were left in the comment section of the “Redhead” post, and one was the name for this particular calf. When I read the name “Fiona,” it fit like a puzzle with what I was feeling in my mouth. And I went down to the corrals and softly called out ‘Fiona,’ and this sweet, gorgeous calf got up from resting in the sun and walked over to me. well, that is just a beautiful after-birth and beginning of life story. i like the fact that the goose believes he’s a cow too, makes the story all the better :). I love that Ricardo is part of the Farmily and grazes with the cows, such great co-mingling! Fiona! That’s beautiful. Are you sure she’s really a calf, not an angel? She looks so otherworldly gorgeous. Thank you Shreve for sharing alittle bit of your incredible life with us…Fiona is beautiful. What a beautiful & sweet story to have read to begin my day! Thank you so much for sharing. Fiona is a wonderful name & she is absolutely breathtaking. So glad to hear the newest addition to the farmily is fitting in just fine. in your own inimitable style. What a treat to share in this latest adventure. My Mom is blind, so she can’t see your beautiful pictures, but she loves keeping up with all of you through your words. Nice story and gorgeous pictures. she’s so gorgeous! Fiona is a perfect name, for sure. i love that your goose came to check things out.. reminds me of the neurotic duck in “Babe”. Oh I’m so glad you chose Fiona. I was rooting for that name. It made me think of Shrek’s wife who also had red hair. Fiona is a beautiful name. 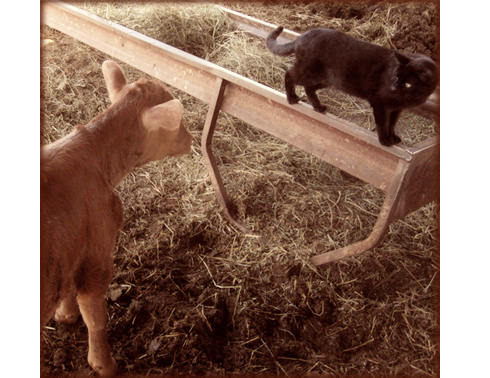 I love the picture of Fiona chatting with the barn cat. They look interested in each other. Lovely! Beautiful name, beautiful calf. You have a good lookin’ farmily! I just love the picture of everyone contented in the field, even Ricardo the species-confused. Daisy is SUCH a beautiful girl, and Fiona clearly is going to follow in her mother’s footsteps! Congratulations to the whole farmily, and I’m glad that Frisco was able to cope with the separation from Daisy so well. Lovely name! I think you’ve created your own little Eden there….enjoy! It fits her like a glove! That last picture is my second favorite now, after the close up of Daisy. She is so peaceful and wise looking!!! Shreve what will you do with all these animals if you keep breeding them? I find it hard to believe that they’ll all be pets but can’t imagine anything else for them? You might have answered this question before but I can’t remember, getting old you know. My daughter’s name is Fiona. She’s shared it for years with a green Ogre princess, so I suppose it’s fitting to now share it with a redheaded dairy cow too. A perfectly beautiful name for this beautiful little girl. 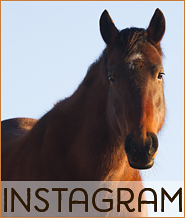 PICTURE-PERFECT STORY – PERFECT NAME! Looks like blessings abound for you, Shreve, and all your farmily! I have never seen such a beautiful calve. I love her color. Daisy seems to have a touch of that color also. Perfect! I love it! Her color really is beautiful. Good job Daisy. She is going to grow up to be a looker, just like her Mom. You are going to have the most beautiful cows around. It’s always best to meet and get to know an animal before naming him or her. They know what their name ought to be and they’ll tell you! Fiona is gorgeous like her mom and brother before her. Beautiful name, it very much fits her. She is a beautiful calf and I can’t wait to see more pictures as she grows. She looks like she’ll be as sweet as her mama. Just to set the record straight, I never for a moment thought about Shrek’s wife when Fiona came to me. I have a friend who’s daughter’s name is Fiona, but I really wasn’t thinking about her either. Fiona just came to mind when I looked at the calf’s picture. I checked the meaning of the name and it sure seemed to fit, so I offered it. I’m thrilled to see that you agree, Shreve. I hope Fiona is equally happy with her name. welcome fiona! she is going to be just as beautiful as her mom. Aaah, Fiona. Welcome to the world, little calf. OH MY SHE IS A STUNNER !!! That’s so funny. I have 3 parrots. The oldest is named Daisy, and the youngest Fiona. The macaw is named Genny, short for Geneive. Daisy is the only one I named, the others came from previous owners already named. I love her. What a beautiful story of a true, natural childbirth! All the way around beautiful. How exciting……and what a beautiful story. I so enjoy hthe way you write….I felt like I was right there with you. Beautiful name…..beautiful baby….and mama! Thanks for sharing with all of us. aww great story, as usual…great name as always. Congrts to you all:) She really IS beautiful! Oh my gosh, she so looks like a Fiona! Very cool indeed :-). Fiona is so so so so so so so beautiful. Her color is impossibly gorgeous. God I love cows. She is so beautiful. Why should I be surprised? Her mommy is only the most beautiful cow on the planet. congrats to the new addition!!! I’m whispering this post – everything is just too sweet and peaceful, and I don’t want to muck it up by writing too loudly. How amazing and momentous that this Divine Bovine responded to her name when you called. 1st Shot: Fiona’s coloring still reminds me of Charlie. 2nd Shot: Fiona and Black Barn Cat making their intros is magically ordinary and profound. 4th Shot: What a wonderful shot of the key players in this story. Ricardo, oh Ricardo… you are literally our stand-up comedian and beloved bovine mascot. Priceless. Hilarious. 5th Shot: Oh dear, why does this shot of Fiona bring tears to my eyes? Perhaps it’s the peace of the pose and sheer beauty of this uncommon common little cowlet. 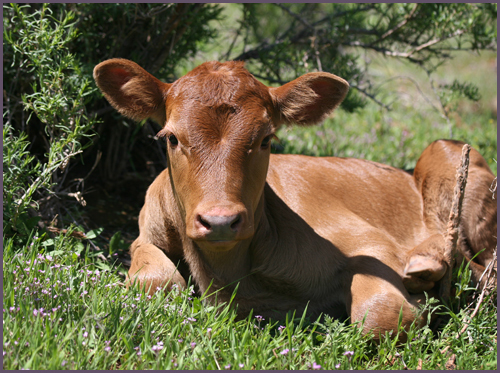 Have you selected the book to read when you lean against this lovely calf on a sunny summer day? DING! You leveled up as farmer with this one I believe. I suppose it was a Happy Birthday to all! I love braun cows, so soft and cuddly. Happy Monsieur Ricardo approves. Do you remember the film ‘ Babe ” the pig movie 1995,Chris Noonan directed it, your entire farmily reminds me of that movie.Congratulations ! Ah, thank you for the timely account of a much-anticipated event. So great that the barn / corral community sent their representatives to witness Fiona’s arrival and figure out how she’ll fit in. Many happy returns to all the Farmily. 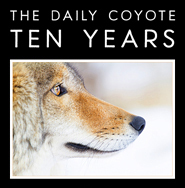 Shreve,,,I have to mimic Carolyn’s comment today, “I never tire of your continuing saga….”. I sat here reading this post with a huge smile on my face and had to wonder…Did you EVER think this was going to be your life when you set out from SF 4-5 years ago on that vespa??? Thank you again for sharing your life with this city girl. Big doey eyes with impossibly long lashes get me every time. Fiona’s a beaut. Congrats, Daisy. Fiona reminds me of Princess Fiona from Shrek (just the red hair not the green ogre thing)…as adorable as she is I think she could most defiantly pass as a Princess! I think what touched me the most is that Daisy let the calf nurse this time. She’s finally figured out how it works and is happy with the natural way things go. I’ll bet she’s a lot more mellow and content now that she’s living the life of a real cow, eating real cow food and being a real Momma. Fiona has no idea how lucky she is. Oh how beautiful and what a lovely name. I love farm animals they are so interesting and beautiful!! Thank you for sharing!! Such a perfect name for a beautiful calf! She’s just gorgeous…as is her name. Welcome to the world and your wonderful farmily Fiona. Fiona is such a lovely name! I love the last picture, she is so amazing. What a darling girl! She does look like a Fiona. A lovely name for a lovely girl. Oh but you do have a poetic way with words. Fiona is beautiful. Beautiful family and story. Thanks for sharing. I look forward to your daily posts. Congrats to everyone. Wonderful pictures, and thank you so much for sharing your stories of life with your farmily. I envy Fiona those eyelashes! She’s gorgeous-Rita Hayworth eyes! So adorable! I love how the animals all get along and how they all know to leave Daisy while she was giving birth, amazing. The picture of them all grazing is so sweet, especially with Ricardo in the background, crazy goose :o) How are Chloe and Charlie feeling about Fiona or do they even care? I know it would probably be impossible, but how cute would be to do a group pic: Horses, in the back row Heifer’s and Steers in front of horses, next Coyotes, dogs, cats, chickens, chicks, geese in the front and you and M on either side. It would make quite the farmily Christmas card, you could block out M’s face with Mistletoe or other as I know is not a fan of the camera. Fiona!! Welcome to (this) life!! Have FUN!! She’s definitely the cutest calf in the whole of creation. You and Daisy must be over the moon. Beautiful…thanks as always for sharing! what a nice story to start my day with! as always, thanks for sharing!!! Shreve, your mouth told you true..Fiona is perfect..she is beautiful, like her Momma..Thank you so much for sharing all of this with us…You always start my day..
She is beautiful. Thank you so much for sharing. Fiona is sorrel!! She is beautiful and she is sorrel. The same color as my horse. I like the word sorrel much better than ‘chestnut’, or just plain ‘red’. awww. she’s a beaut! And what a great wide shot of the farmily… ‘Ricardo’ the goose cracks me up, every time. Happy June! She is beautiful, such a gorgeous colour. Sweet story. I love the name Fiona too. Perfect name and perfect calf! I get so excited when you have a new post, it’s like a lovely break in my day in which I am reminded of all the important things in life. I love the far away pictures with Ricardo hanging there in the background of them. So funny! Beautify little thing, Fiona is. Congrats to Daisy and the Farmily! I called my husband over to look at the pictures of Fiona and said, “Isn’t she PERFECT?” So funny to see that was the comment in the first post. I admit it, I’ve fallen a little bit in love with her! What a great story, and that name fits the face. I love the rich brown color of her hide!! I loved this story, really like “Fiona” for a name, and hope mama and calf are doing very well at home! How beautiful and perfect all us critters come into the world. You deserve the experience.